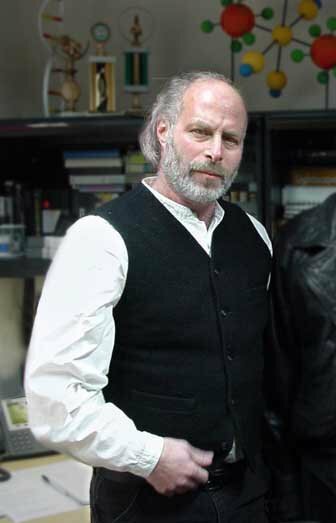 Richard Cohen, an artist who contributed to the early days of computer animation and digital visual effects, passed away on August 20 from a cardiac arrest. I first met Richard in the summer of 1984 at Sheridan College. At the time, they had a 14 week summer course in computer graphics. 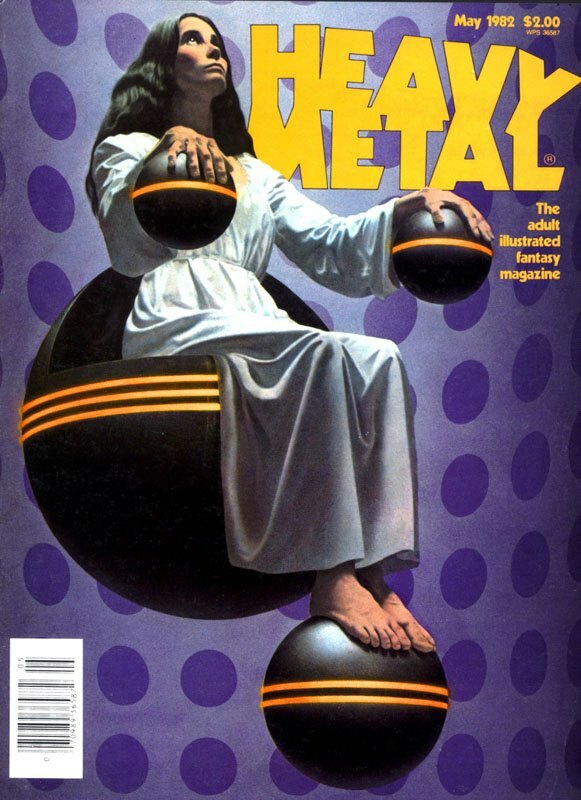 Richard was already an established illustrator, having done covers for Heavy Metal magazine. He had also hung around Ohio State University, one of the hotbeds of cgi development at the time. Richard and I stayed in touch after the course and he was hired almost immediately by Pacific Data Images in San Francisco. Later, he worked for ILM on films like Terminator 2: Judgment Day and Death Becomes Her. Other work included matte paintings on The Hudsucker Proxy, Starship Troopers and The Santa Claus 2. His IMDB listing is woefully incomplete, as so much of the early days of cgi were spent on company logos and TV commercials, work that IMDB doesn't track. By 1999, Richard was teaching visual effects at Sheridan College, the same program that he had taken 15 years before. He also taught painting in the Art Fundamentals program. Richard had amazing taste and a strong sense of design. He and his wife Ria bought a house on the Niagara escarpment in Grimsby, Ontario, that was something out of an architectural magazine. It was the kind of house you'd see pictures of but never expected to see in person. It was also exquisitely furnished. In addition to art, Richard was heavily involved with woodworking, making guitars and furniture that were professional quality. He was intensely focused when he found something he was interested in and stopped at nothing to get the results he wanted. In December of 2009, Richard had a stroke which resulted in a limp and losing the use of his left arm. As you can imagine, that was a major blow for someone so interested in creating both digital and physical things. In more recent years, as a result of the stroke, he developed chronic pain which no medication seemed to control. He was an outgoing, boisterous guy who, as I said, could be intensely focused. My wife and I shared many dinners with him and Ria and it's hard to believe that he's gone. I'm going to miss his booming voice. He's survived by his mother; five younger brothers; a daughter, Mara, from a previous marriage; and his wife Ria. He's to be buried in San Francisco. In 2001, Richard's special effects students collaborated on a film called The Artist of the Beautiful. Richard was the artist in the film and it's the way I prefer to remember him. THE ARTIST OF THE BEAUTIFUL from Noel Hooper on Vimeo. This is sad, sad news. I used to work with Rich and considered him a friend, almost a big brother for a time. He taught me A LOT, about visual arts and about life. I have tried to get in touch with him over the years but failed. Do you know if there is memorial service planned? I'd like to pay my respects. He was one of the most creative and engaging people I have had the pleasure to know. We had wonderfully memorable times together when we were both artists at Willardson/White studio in Los Angeles back in the 80s. He will be missed!! Mark, your enigmatic email bounces. Can you please email me at serpentbox@gmail.com ? Thank you. I had the pleasure of working with him at ILM on many shots on Terminator 2. Rich was a terrific talent and a good man. We used to work out together. He was a powerhouse of a guy who was patient and encouraging to this computer geek who had never seen the inside of a gym. My best thoughts to his family and many friends and colleagues. I am so sad to hear of his passing. We knew and loved this bright and intense artist in the early years of his career as an illustrator. Our deepest sympathies to Todd, Mara, Mitzi, Ria and the entire Cohen clan. So sad to hear of this considering I dropped out of touch with Rich and had tried to find him from time to time. What a visionary. I was blessed in getting an email from him before my band/project was too widely known. He had an eye for the visual but apparently an ear for the soundtrack which he heard in my work and brought me aboard to score and do sound design for a project he was working on called IRON HELIX. In a way, that man changed my life and I will always love him for that. Deepest sympathies and a warriors shout out to the heavens for such an amazing man. I had the pleasure of working closely with Rich at Pacific Data Images. Together we made the animated CG short Opéra Industriel and the short went on to win a number of animation awards. Rich also did the music for the piece. He was an incredible guy and he had both an artist's eye and ear. We shared some unforgettable moments and I'll miss him much. Rich was a truly great guy, a brilliant artist and total mensch. We would sometimes head over to a now long-defunct greasy burger place in downtown San Rafael for lunch, what fun times. I'll never forget watching the evolution of the T1000 rising up from the floor in the T2 steel mill effect, all Rich, such an iconic shot. It was an honor to be in dailies with him. RIP, buddy. The funeral will be on Friday, August 28 at 11 a.m. at Kol Shofar cemetery, 2500 Fifth Avenue, San Rafael, California, 94901. Richard Cohen was a friend and incredible inspiration to me as a young illustrator starting out in Columbus Ohio. I was fortunate enough to live downstairs from Rich as he worked his magic in his 3rd floor studio. I loved watching Rich work and greatly admired his intense dedication to his work. A real character, always a great laugh and always up for a lunch at many of the greasy spoons we would visit. You will be missed my friend . I'll leave a tip at the Goody Boy for you. I am so very saddened to hear of Richard's passing. He and I were close friends and illustration partners in Columbus Ohio, and collaborated on several paintings under the partnership name of "Four Eyes Studio." 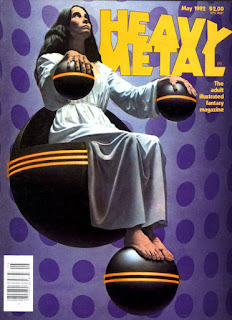 In fact, the Heavy Metal cover above is one of several illustrations that we painted together during our two to three year partnership (The beautiful young woman in the painting is my now wife of thirty years). Rich and I met in 1978 through our mutual friend, Bill Selby. I remember being in complete awe of Richard's painting skills, and even more amazed (and flattered) when he invited me to collaborate with him and taught me the oil glazing technique that he learned by studying the work of Maxfeild Parrish. He was one of those amazing human beings that seemed to emanate a magical force field of creative energy. He did everything with great passion and a perfectionist's intensity that was difficult to match. His sense of humor was infectious, and I can remember many moments of mirthful, nearly uncontrollable laughter that we shared together. It may be a cliche, but it rings true to say that his was a life well lived. To say he will be missed is a profound understatement. My heart goes out to Richard's wife and family, especially to his daughter, Mara. Here's the link to leave a note for Ria, Rich's lovely wife. Thank you for posting this very sad news -- this happened a couple of years ago, but I didn't know until today. I worked with Richard for years at PDI in the 80's, and he was a tremendous creative guy to partner with.